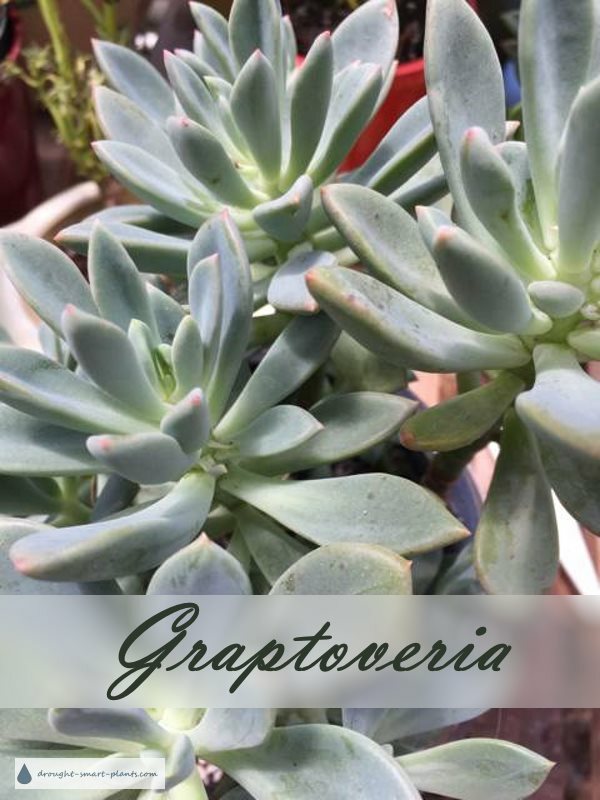 The technical botanical jargon for these plants designates them by an 'x' in front of the combined genera names - Graptopetalum and Echeveria. There are a few different types of these hybrids between genera. Some are more common than others, and these, the combination of Graptopetalum and Echeveria, seem to be one of the most popular. Like their parents they show some of the same characteristics. The Graptopetalum blood (sap) shows in the ease with which the leaves fall off at the slightest brush. This makes them super easy to propagate from the fallen leaves, so don't discard them! 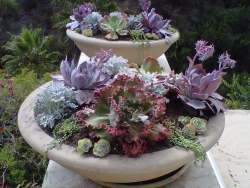 The Echeveria traits that you might see are a tendency to form a rosette rather than a gangly shrublike plant, and often, the blue coloring that make Echeveria stand out from the crowd. So if you see a plant that kind of looks like an Echeveria or Pachyphytum, but not quite, investigate the possibility of a hybrid between the two genera.